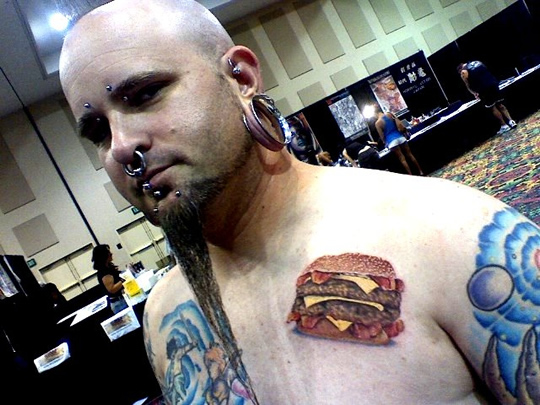 This is by far the most realistic cheeseburger tattoo we've come across thus far — just take a look at those sesame seeds! 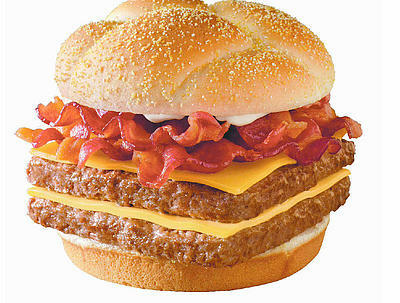 We love that it lacks all condiments and stays true to the whole "meat, cheese, more meat, bacon thing." 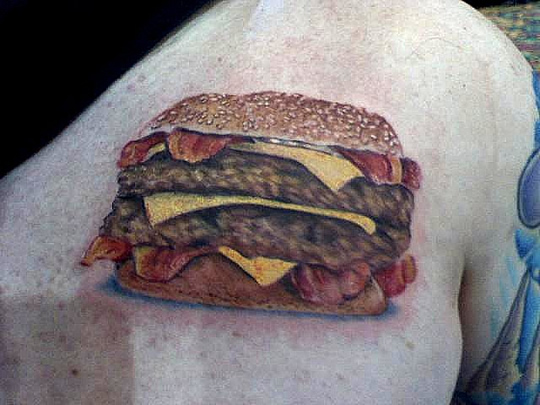 Kind of reminds us of Wendy's Baconator.